AA EDM generators are a sophisticated design featuring multiple processors, digital signal processing and a unique and highly intuitive operator interface. AA EDM machines feature modular construction with a distributed architecture and fiber optic networking for better reliability and ease of maintenance with minimal footprint. The result is the fast and accurate production of parts on a versatile, reliable, easy to operate and long-lived machine. Our machines drill holes in a range of materials, including aluminum, carbides, inconel, steel and stainless steel using oil and water dielectrics. 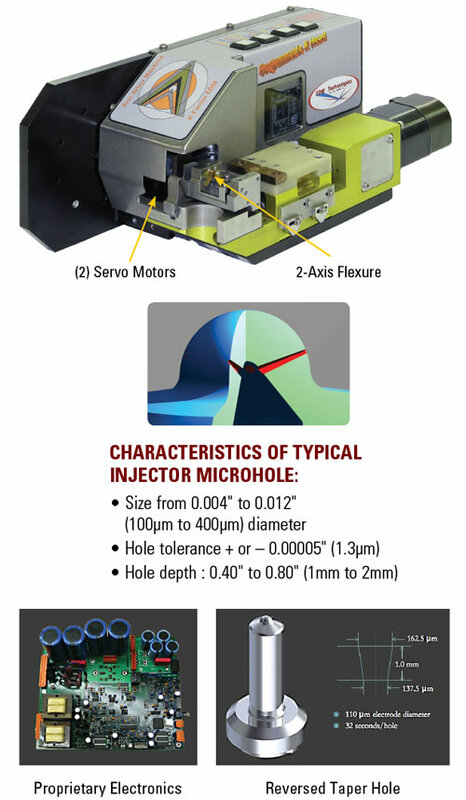 Holes can be produced with circular or non-circular shapes, K Factor (reverse taper) holes, deep or shallow entry angles, and small or large depth-to-diameter ratios—without burrs, surface distortion, minimal micro cracks and residual stress. The machines can have automatic flow test, adaptive control, laser markers, and vision systems designed in. We supply to a wide range of industries, from aerospace and automotive to power generation, medical and materials. 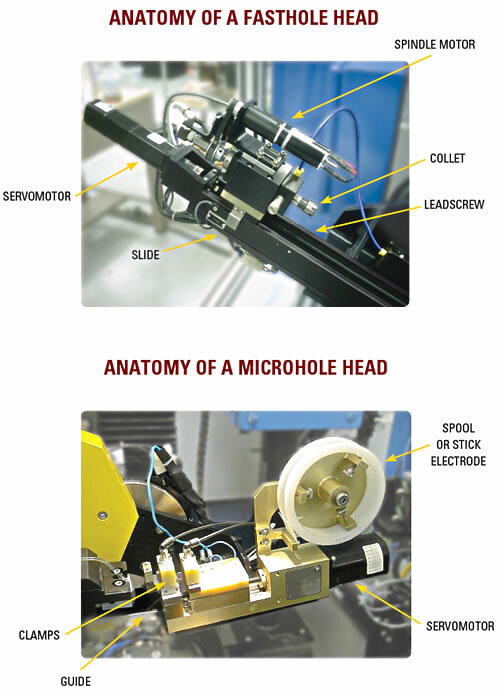 We have developed a new Triple Electrode EDM Head as an option for our MF-5 Microflex machine. This allows the user to EDM 3 different hole diameters in one part without changing electrode or tooling or EDM 3 different parts without tool changing. 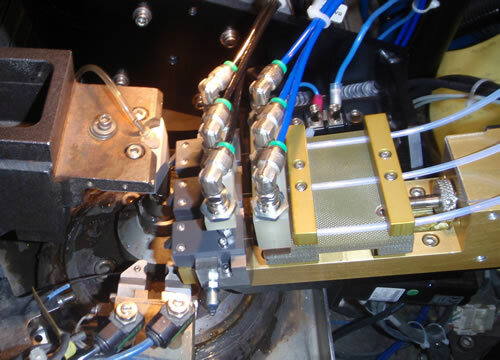 Using this new technology greatly improves productivity of diesel injectors, though it can be used for other parts requiring different size hole in the same part. PATENTED REVERSE TAPER EDM HOLE ATTACHMENT Proved injector performance, increased fuel economy, reduced emissions, increased injector life. and productivity. 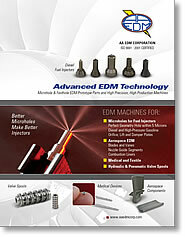 You will be making better parts, more efficiently, overnight. • K-Factors up to 5 can be programmed! • Dual-axis capability for hole shaping–not just round tapered holes! • Parts can have a combination of straight and K-Factor holes!